We are pleased to announce the opening of the John H. Sharon Personal Papers collection. John H. Sharon was a Washington, D.C.-based attorney whose personal papers document his interest and involvement in the Democratic Party in the 1950s and 1960s. The materials in this collection focus primarily on Sharon’s association with Adlai Stevenson and John F. Kennedy. Sharon was a supporter of Adlai Stevenson, serving as Director of the National Stevenson-Kefauver headquarters in the 1956 presidential campaign. 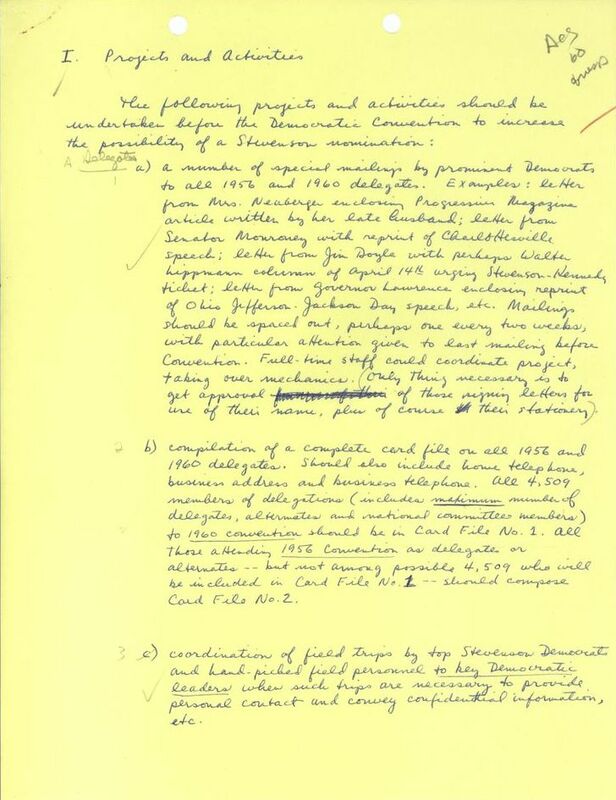 Sharon’s 1956 campaign files cover a variety of topics including: television publicity, delegates, campaign finances, and hydrogen bomb testing. The hydrogen bomb testing issue became a major focus of Governor Stevenson’s campaign against President Eisenhower. 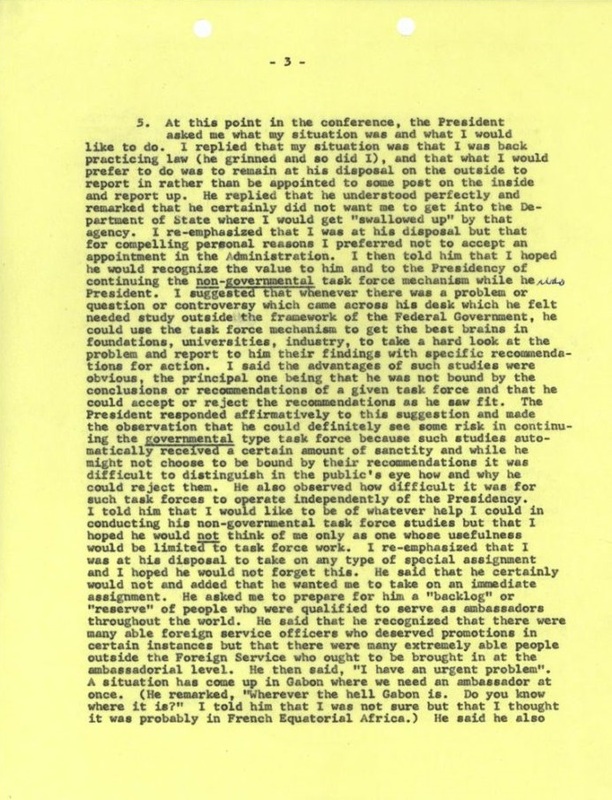 Sharon compiled a report entitled “The History of the H-Bomb Issue in the 1956 Presidential Campaign” at the request of the Dean of the George Washington University Law School, Sharon’s alma mater. 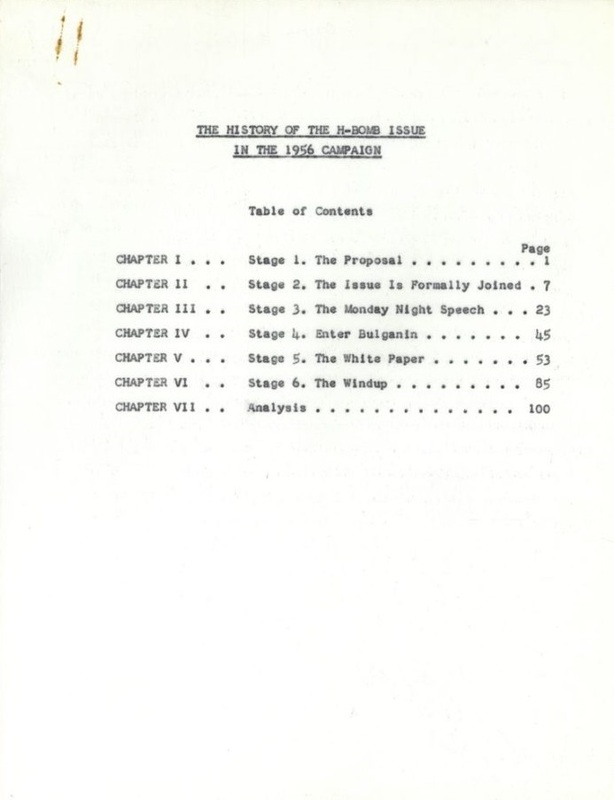 Table of contents and excerpt from the hydrogen bomb report written in May 1958. View the entire folder here. Sharon also served as the deputy campaign manager for the “Stevenson for President” organization in 1960. He worked to galvanize support for Stevenson’s potential third consecutive presidential run. 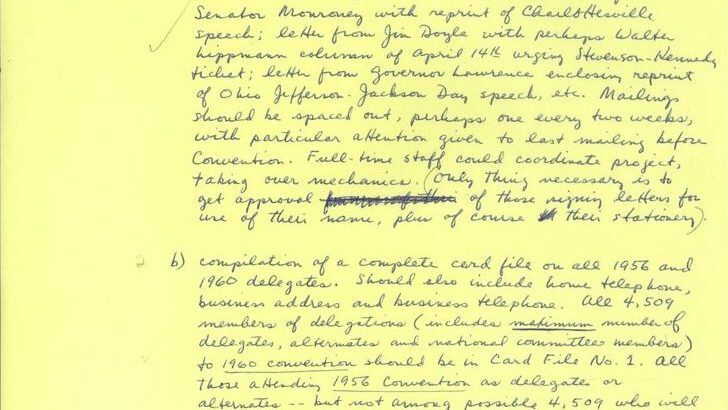 Pages from Sharon’s to-do list before the 1960 Democratic Convention. View the entire folder here. Sharon’s association with John F. Kennedy began in 1950. Before practicing as an attorney, Sharon was an aide to Congressman Charles Howell of New Jersey; Congressman Kennedy occupied the office next door. They had contact over the years; Sharon even contributed funds to Kennedy’s 1958 Senate campaign. 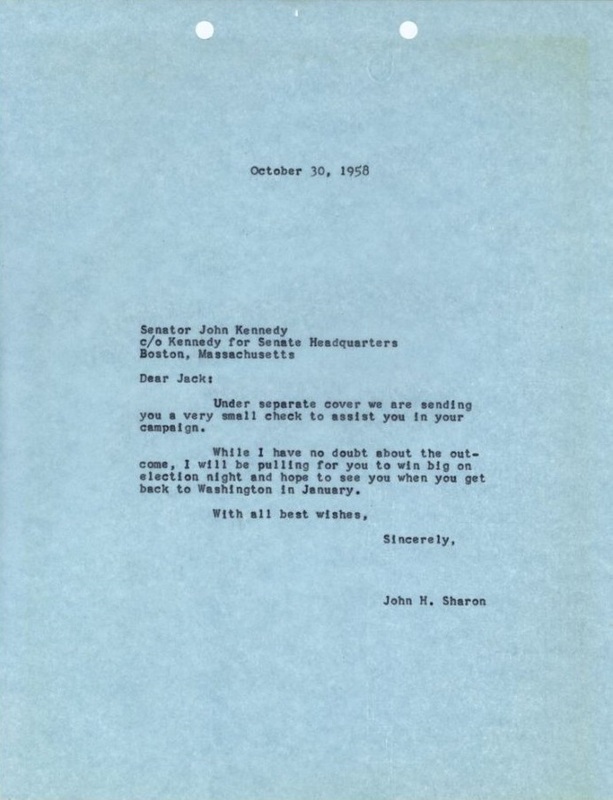 Letter from John Sharon to Senator John F. Kennedy, 30 October 1958. View the entire folder here. In November 1960 Stevenson wrote a memorandum to President-elect Kennedy sharing his thoughts on the foreign policy outlook for the new administration. 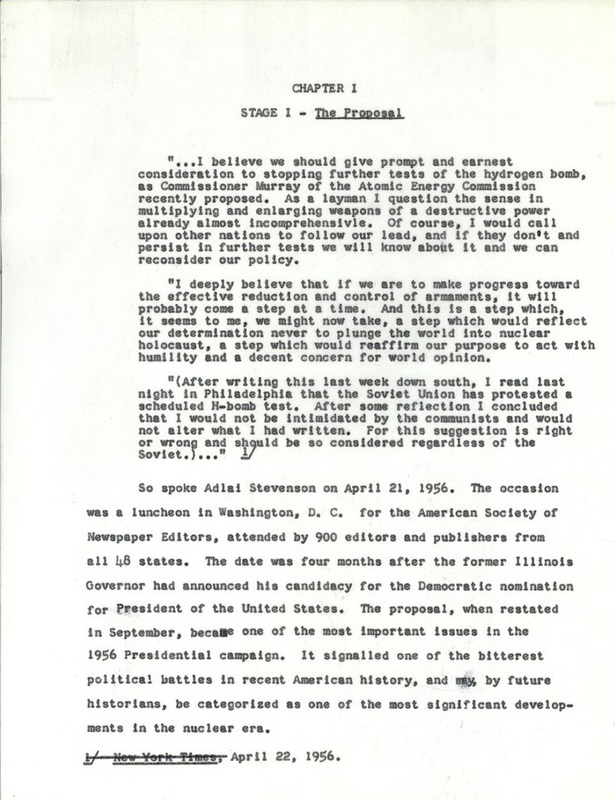 The memo was delivered by Sharon and George W. Ball (a Sharon colleague and future Undersecretary of State for Economic and Cultural Affairs). Kennedy soon requested that Sharon and Ball organize foreign policy task forces to aid in the presidential transition; he further requested that the two compile pertinent foreign policy questions for him to discuss with President Eisenhower during their December 1960 meeting. 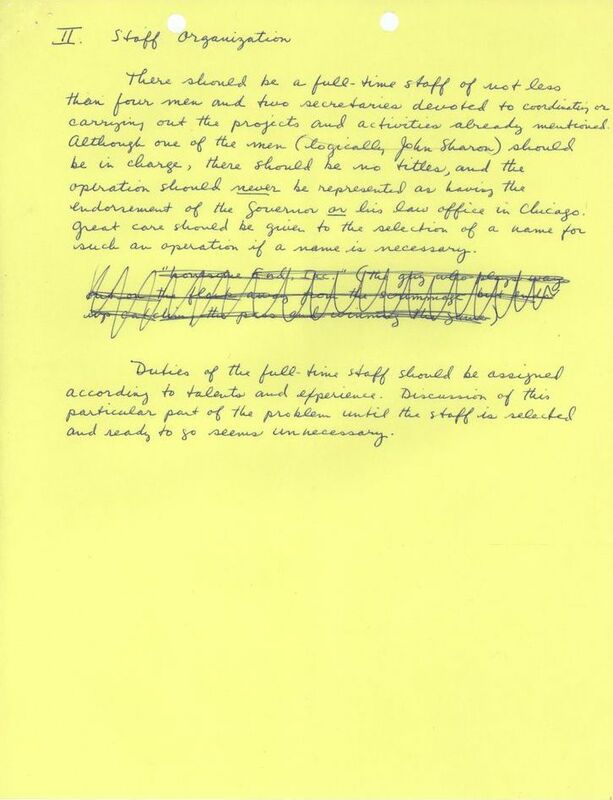 Final task force reports were presented to President Kennedy in January 1961 on the following subjects: Africa, balance of payments, disarmament, foreign economic policy, the United States Information Agency, and State Department operations overseas and in Washington. 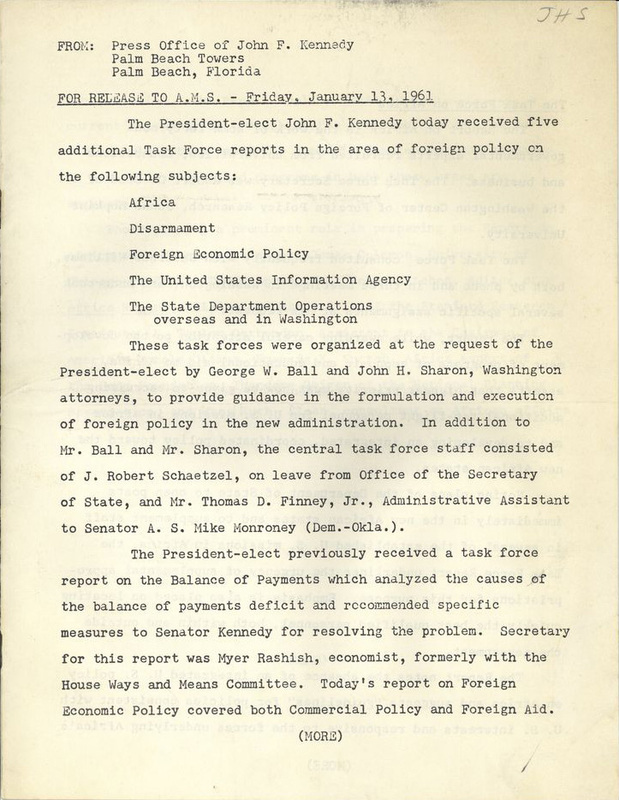 Page one of the press release describing the task force reports submitted to President-elect Kennedy, 13 January 1961. View the entire folder here. Excerpt of a memorandum of conversation between President Kennedy and John Sharon, 28 February 1961. View the entire folder here. Sharon remained outside the White House and continued to practice law, working at several firms over the course of his career. He passed away in 1980 at the age of 53.